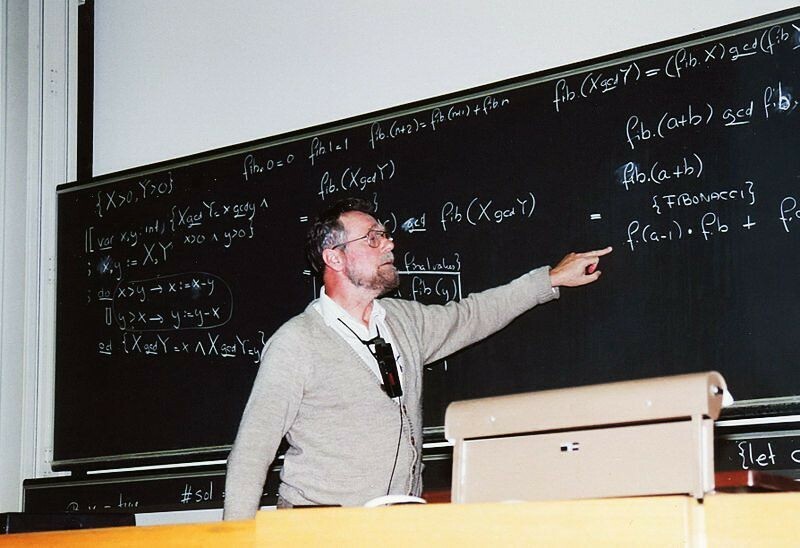 Edsger Dijkstra´s "GO TO considered harmful" letter is published in Communications of the ACM, fires the first salvo in the structured programming wars. He called for abolishing the unrestricted GOTO statements used in higher-level languages, and argued that they complicated programming. The ACM considered the resulting acrimony sufficiently harmful that it established a policy of no longer printing articles taking such an assertive position against a coding practice. 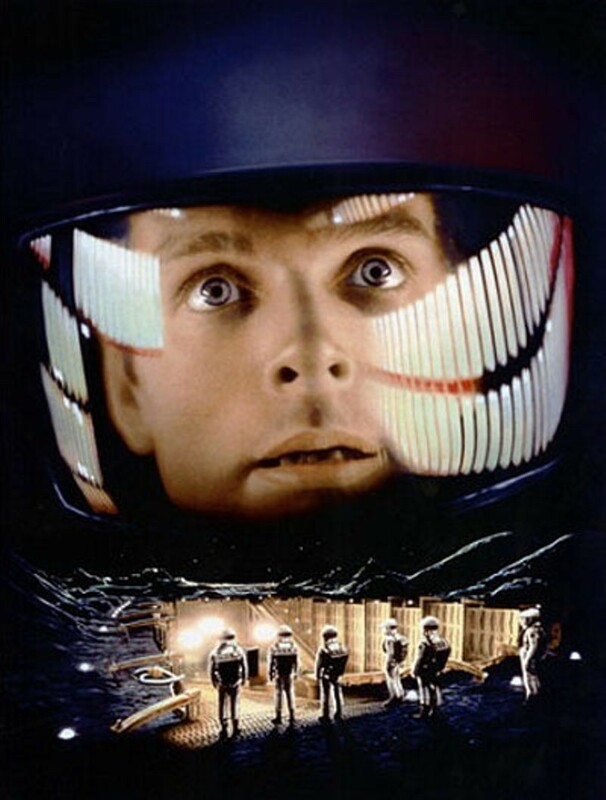 Based on the short story The Sentinel by author Arthur C. Clarke, Stanley Kubrick's 2001: A Space Odyssey tells the story of the HAL 9000 computer as it malfunctions during the Discovery One spaceship's trip to Jupiter to investigate a mysterious signal. The HAL 9000 computer (Heuristically programmed ALgorithm computer 9000), which controlled all aspects of ship operations, killed the crew being transported in stasis, and was finally shut-down by the only surviving crew member. The presentation of HAL demonstrated advanced technologies including speech synthesis, voice and visual recognition, human-computer interaction, and even computer chess. Designed by scientists and engineers at MIT’s Instrumentation Laboratory, the Apollo Guidance Computer (AGC) is the culmination of years of work to reduce the size of the Apollo spacecraft computer from the size of seven refrigerators side-by-side to a compact unit weighing only 70 lbs. and taking up a volume of less than 1 cubic foot. The AGC’s first flight was on Apollo 7. A year later, it steered Apollo 11 to the lunar surface. 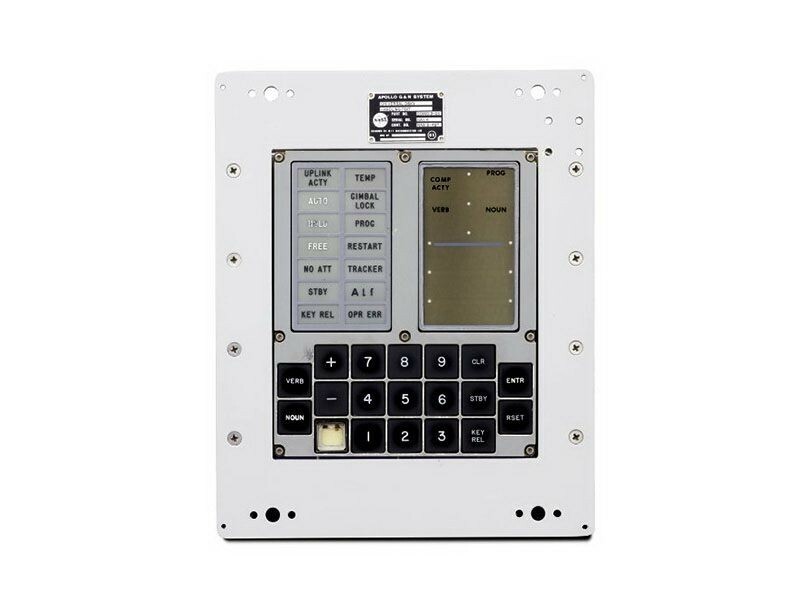 Astronauts communicated with the computer by punching two-digit codes into the display and keyboard unit (DSKY). 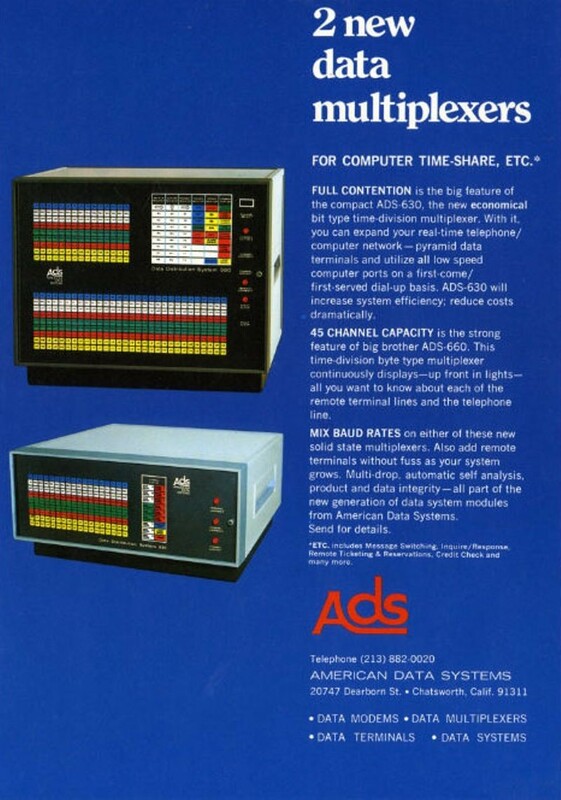 The AGC was one of the earliest uses of integrated circuits, and used core memory, as well as read-only magnetic rope memory. The astronauts were responsible for entering more than 10,000 commands into the AGC for each trip between Earth and the Moon. CICS (Customer Information Control System), an IBM transaction processing system, is released. 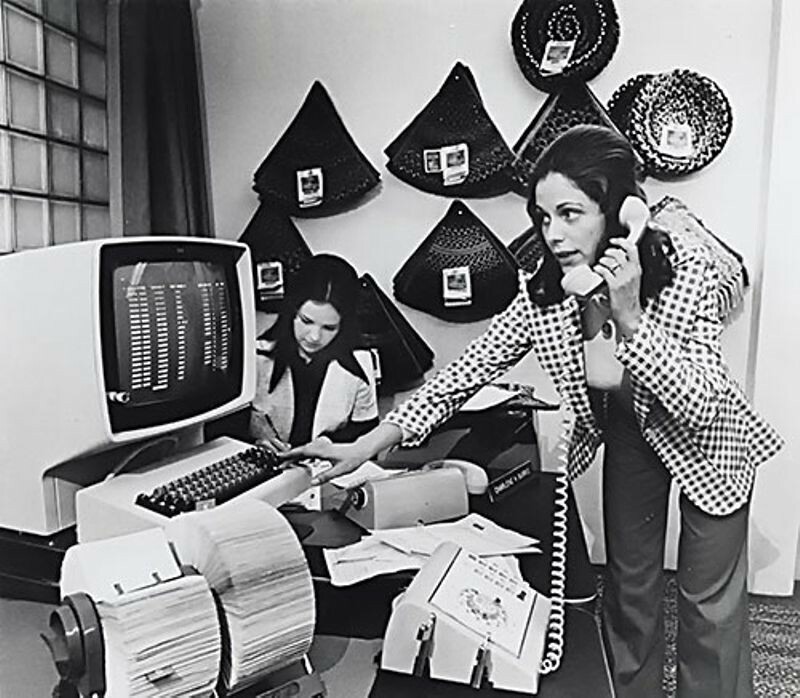 Before CICS was introduced, many industries used punched card batch processing for high-volume customer transactions. As it allowed online transaction processing, CICS was able to replace this method and greatly sped up the way that companies interacted with their customers. It was first used in the public utility industry for access to customer information and transactions, but soon after its release it was quickly adopted by a wide spectrum of industries including banking, oil, insurance and even smaller companies. Although it was originally intended to only last a few years, CICS is still in use today. At IBM, development begins on the Minnow, a read-only floppy disk drive designed to load microcode into the controller for the "Merlin" (IBM 3330) Direct Access Storage Facility. 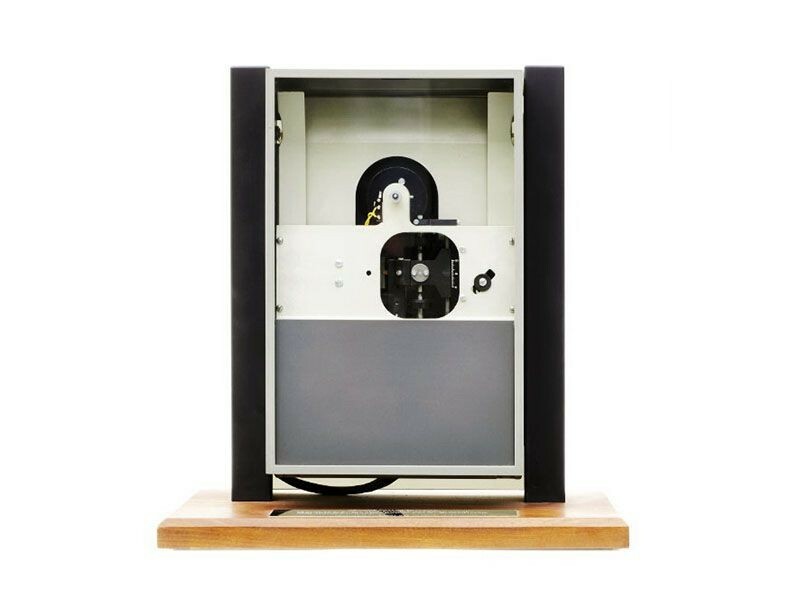 The outcome of the work was a read-only, 8-inch, 80 kilobyte floppy disk and disk drive—the world’s first. 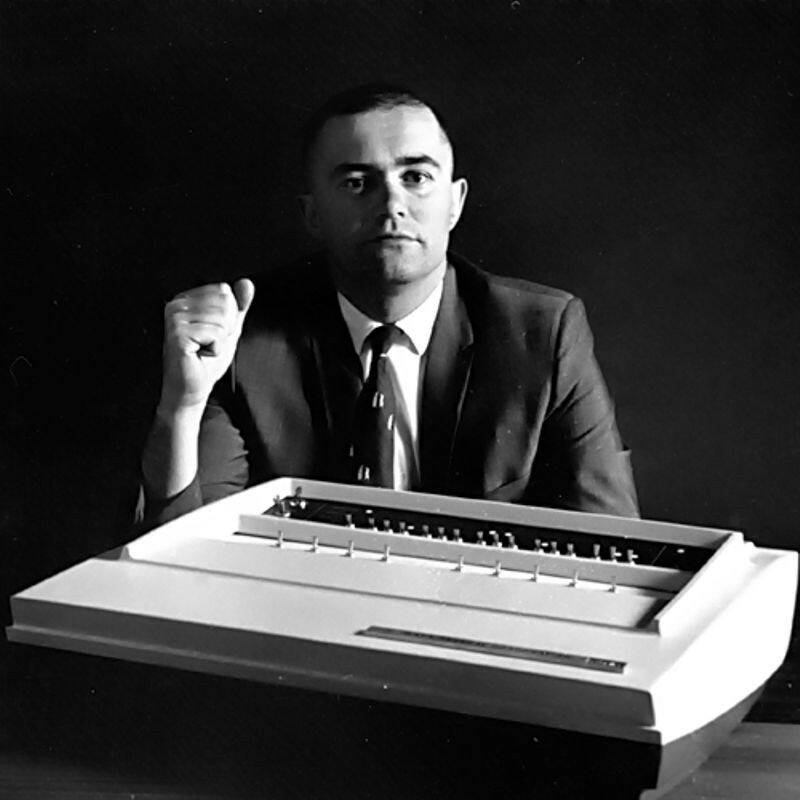 Released as the IBM 23FD in 1971, it was used with the System 370 among other computers. Unlike hard drives, a user could easily transfer a floppy in its protective jacket from one drive to another. It was not until 1973 that IBM released a read/write floppy disk drive. Soon after, it became an industry standard. Terry Winograd begins work on his PhD thesis at MIT. His thesis focused on SHRDLU, a natural language used in artificial intelligence research. While precursor programs like ELIZA were incapable of truly understanding English commands and responding appropriately, SHRDLU was able to combine syntax, meaning and deductive reasoning to accomplish this. 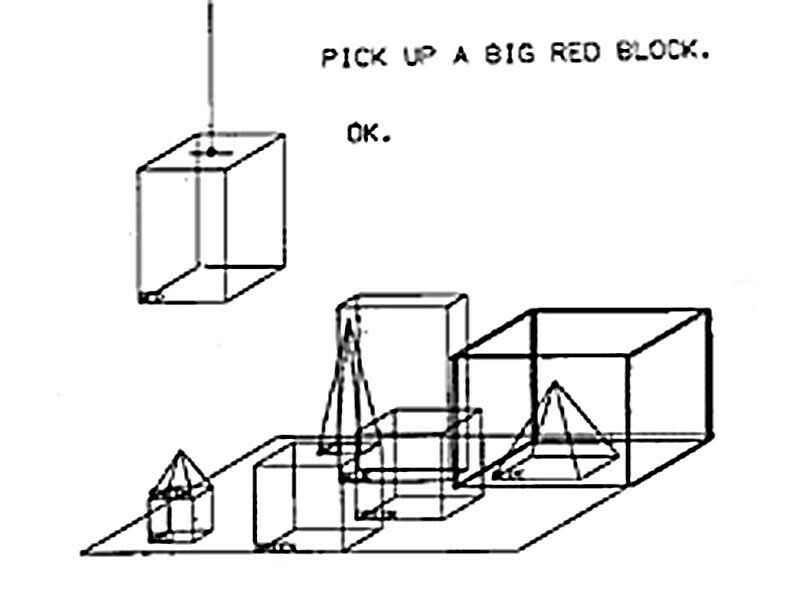 SHRDLU’s universe was also very simple, and commands consisted of picking up and moving blocks, cones and pyramids of various shapes and colors. 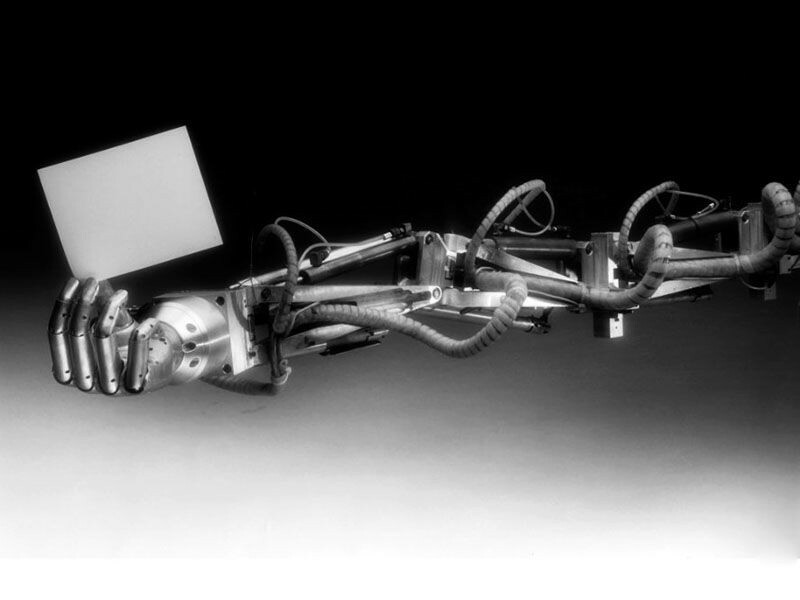 Marvin Minsky develops the Tentacle Arm robot, which moves like an octopus. It has twelve joints designed to reach around obstacles. 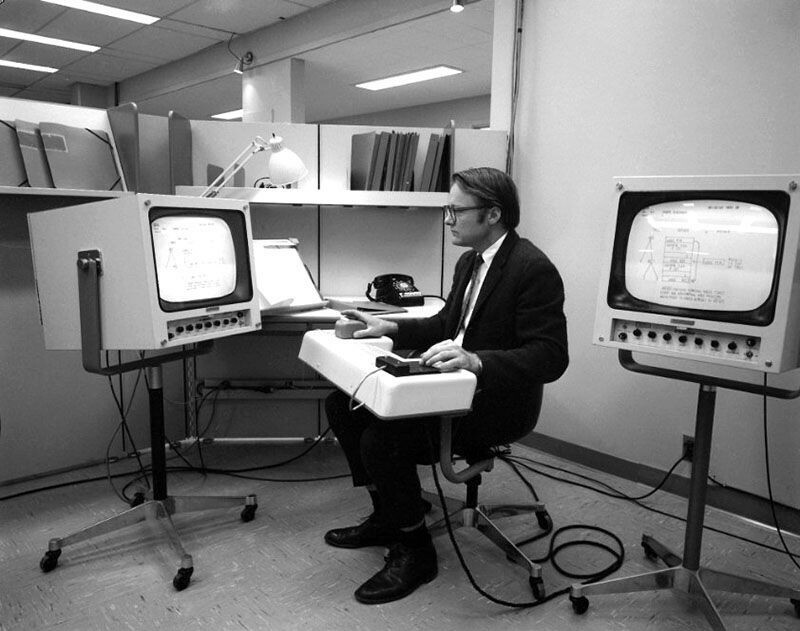 A DEC PDP-6 computer controls the arm, powered by hydraulic fluids. Mounted on a wall, it could lift the weight of a person.